The story of John Lennon's early life is heading to the big screen with Nowhere Boy. It's to be directed by UK visual artist Sam Taylor-Wood and will be based upon a book by Lennon's half-sister, Julia Baird. Her book, Imagine This: Growing Up With My Brother John Lennon, caused some controversy on its publication as Baird didn't actually live with Lennon. Baird has previously said she wished Lennon had "never seen a guitar". The screenplay is to be written by Matt Greenhalgh, writer of the Ian Curtis biopic Control, and will focus on the Beatle's childhood and subsequent journey to icon status. 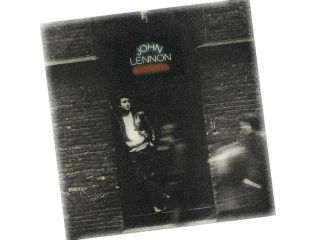 Filming is set to take place on location in Lennon's hometown of Liverpool. This isn't the first time Lennon's early life has been dramatised. In 1994, Backbeat saw actor Ian Hart give an excellent performance as Lennon (for the second time - he first played Lennon in The Hours And Times), though the main subject of the film was original Beatles bassist, Stuart Sutcliffe. It's as yet unclear if any Beatles music will be cleared to feature in the film. Casting for the major roles is underway. According to the director Taylor-Wood, "The women in John's early life truly shaped who he became. The strengths and weaknesses of their relationships are central to this film."